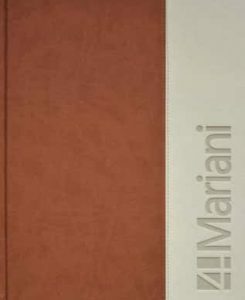 The Company “i 4 MARIANI” is so called because of the 4 brothers Biagio, Tarcisio, Umberto and Emilio that established it on 1957; it is really a family operated company. Now, with the third generation coming soon, each member of the family contributes their own particular competence to provide a role in a well tested mechanism. The 4 founding fathers – all still active in the Company – are assisted by their 8 daughters and sons; this unique family environment is also supported by important international designers. 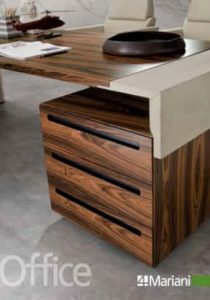 Since the foundation of the firm, i 4 Mariani has always offered furnishings of contemporary taste never being fashion-victims. The production is focused on two main families: products for the home such as sofas, armchairs, beds, dining chairs, shelf units, dining tables and low tables and products for the office such as desks, conference tables, cabinets, armchairs, drawers units, wall and equipped partitions. All these items are dedicated to everyone who loves comfort combined with the finest materials and finishing that are cared for down to the smallest detail with handicraft care, yet made to last without need of service for decades. The Company`s registered office is in Brianza, north of Milan – the area that has contributed most to the development of the Italian furnishing industry. The i 4 MARIANI group is today one of the most advanced industrial complex in this sector, with a production facility covering over 22,000 square meters. 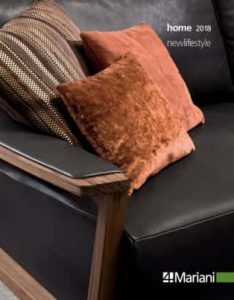 State-of-the-art manufacturing technology plus a strong handicraft tradition – particularly noticeable in the leather upholstered items – make the Company products unmistakable in their essential design, durability and quality of working and finishes. “I 4 Mariani” was established in 1957. The company is headquartered in Brianza, north of Milan, in the region that has long been the center of the Italian furniture industry. An entrepreneurial activity that, since the beginning, characterizes the union between emerging technologies and the rich assets of handicraft. It is a story constantly in evolution, where the passion for absolute quality is most important. From the origin through today, i 4 Mariani envisions and realizes furnishings, seating, cabinets, and upholstered objects that stand the test of time. Each single piece is the result of a careful selection of materials, and of maximum care in the details, with research in the design oriented to the essential elements required. A key distinctive point of the company is the proprietary knowledge in the working of saddle leather and the use of such leather with its strong specialization in the residential, contract and office sectors. Today, the company founded by the four brothers Biagio, Tarcisio, Umberto, and Emilio Mariani maintains the family tradition, which has now arrived to the third generation. A rare example in the sector, with a reality that has maintained it for over fifty years on the same property, the company has the advantage of constant growth through values of excellence in production. i 4 Mariani depends now on its technologically advanced establishment with a total of 22,000 square meters (almost 235,000 square feet). Here, skilled handicraft workers continue together with technicians and management. They are a tested team, able to face the most complex challenges. 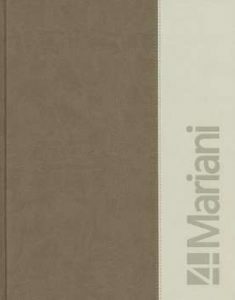 “i 4 Mariani”, contrary to the industry, realizes on our own almost 100% of the production. From the wooden and metal framework structures, to semi-finished status, and finally upholstery, there is a deep knowledge of the technology, and an understanding of the materials. Particularly, the company selects the best varieties of leather and raw saddle leather, and follows every phase of production, including the working, while maintaining authenticity of the material and its naturalness. 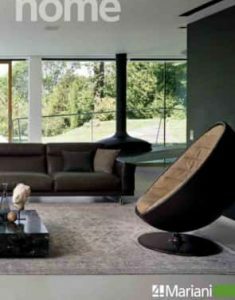 In this way, the furnishings and upholstered objects covered in leather and saddle leather retain great comfort, are esthetically pleasing, and are created of the highest quality. Starting in the 1990’s, the company acquired sophisticated machines for the production of office furniture systems. The production sector was enlarged to accommodate Plusystem, which is composed of 500 different elements for each type of production layout. A big parallel development also expanded the contract business sector. The company includes inside all of the capabilities to follow each phase of production, from the conception through to the final realization of the installation, with the availability of services continuing after the sale. With the availability of personalized solutions for different installations, the company emerged as an important leader in the contract furnishings field, as evidenced by the fourteen different airport VIP Member waiting rooms installed for Alitalia throughout the world, as an official quality supplier of that company. “i 4 Mariani” style has been expressed decade by decade through various authentic icon pieces. Andromeda and Selene were futurist seating systems designed by our internal technical staff during the 1960’s. We continued with the upholstered Tucroma design of Guido Faleschini in the 1970’s, and Insieme in the 1980’s. The Marnie collection of seating included the dual possibilities of residential and commercial contract applications, as projected by Adam Tihany in the 1990’s. 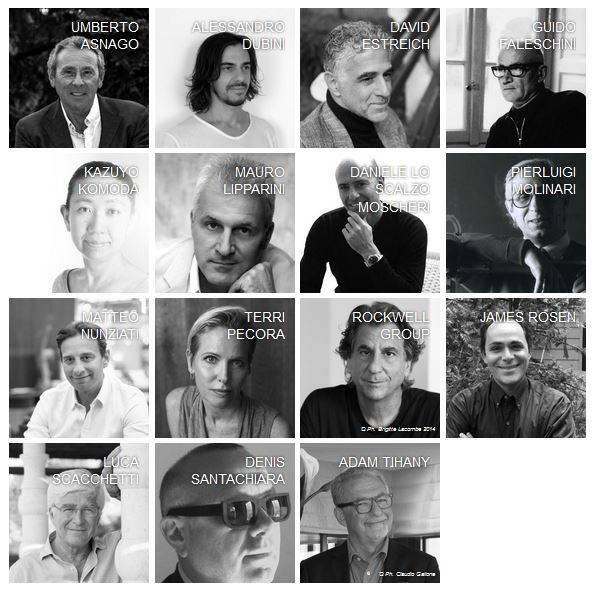 Today, as in the past, we follow the same tradition of collaboration with designers at the international level with Luca Scacchetti and Mauro Lipparini who designed the famous Oyster armchair. 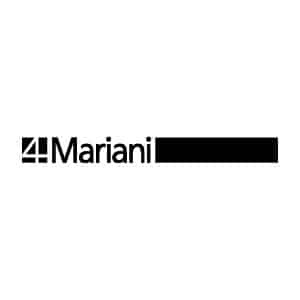 NEED MORE I4 MARIANI INFORMATION ?